Several prominent players who have worn the legendary Redskins’ helmet share their fondest single-game experience and memories. Sam Huff, Billy Kilmer, Larry Brown, Pat Fischer, Len Hauss, Mike Bass, Roy Jefferson, Ron McDole, Ken Houston, Diron Talbert, Don Bosseler, “Bullet” Bill Dudley, Joe Jacoby, Rick Walker, Joe Washington, Jeff Bostic, Joe Theismann, Ken Harvey, Mike Nelms, Doug Williams, and Dexter Manley are among the former players profiled in this unique book. 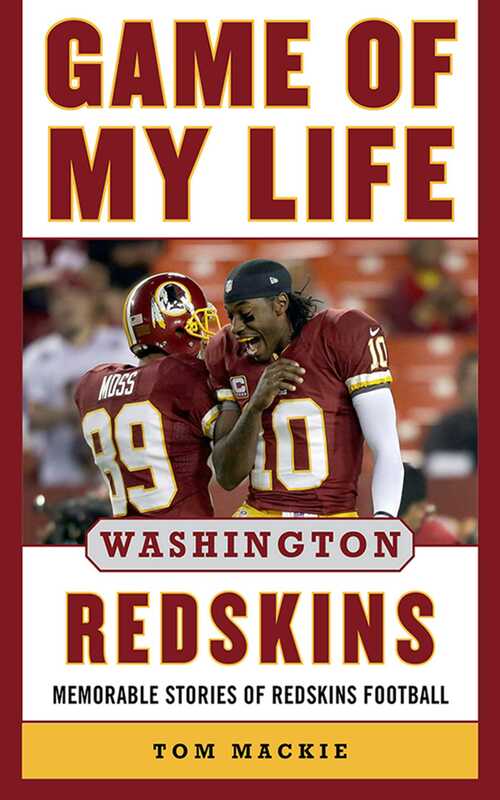 It provides an in-depth look into the men and games that helped shape and build the legendary Washington Redskins’ seventy-five-year franchise.